As Shadow is about to leave prison, he is told that his wife was killed in a car crash. He ends up partnering with a shady character named Wednesday and from there is taken on a wild and scary road trip where he is caught in the middle of a war between the gods of the old world (think of Odin) and the new (think the media and internet). “Now, as all of you will have had reason aplenty to discover for yourselves, there are new gods growing in America, clinging to growing knots of belief: gods of credit card and freeway, of Internet and telephone, of radio and hospital and television, gods of plastic and of beeper and of neon. Proud gods, fat and foolish creatures, puffed up with their own newness and importance. Death had vanished from the streets of America, thought Shadow; now it happened in hospital rooms and in ambulances. “It is only a gesture,” he said, turning back to Shadow. “But gestures mean everything. He hoped he would live though this, but he was willing to die, if that was what it took to be alive. People believe, thought Shadow. It’s what people do. They believe. And then they will not take responsibility for their beliefs; they conjure things, and do not trust the conjurations. People populate the darkness; with ghosts, with gods, with electrons, with tales. People imagine, and people believe: and it is that belief, that rock-solid belief, that makes things happen. Compelling read and interesting take on gods and death. 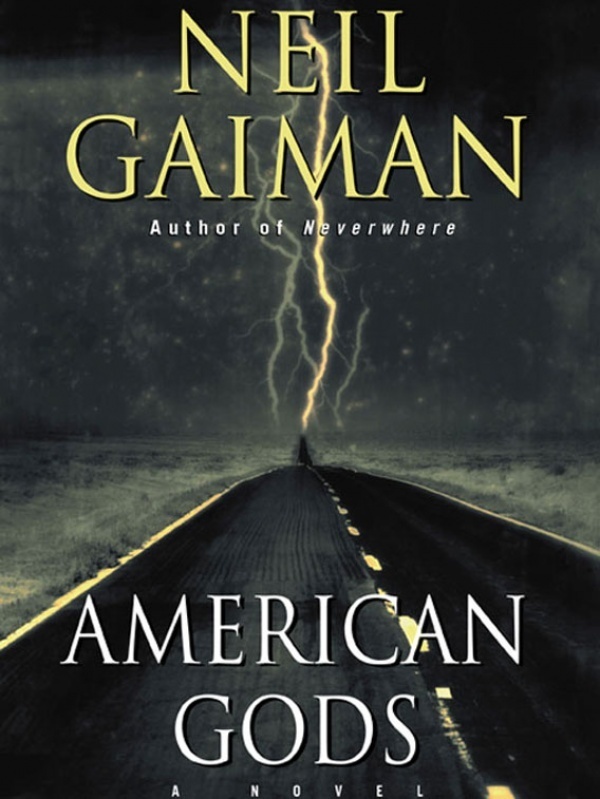 This entry was posted in Books and tagged Death, Fiction, Gods, Neil Gaiman on June 1, 2015 by Blas.